OSHA is delaying enforcement of the anti-retaliation provisions in its new injury and illness tracking rule to conduct additional outreach and provide educational materials and guidance for employers. Originally scheduled to begin Aug. 10, 2016, enforcement will now begin Nov. 1, 2016. Under the rule, employers are required to inform workers of their right to report work-related injuries and illnesses without fear of retaliation; implement procedures for reporting injuries and illnesses that are reasonable and do not deter workers from reporting; and employers are prohibited from retaliating against workers for reporting injuries and illnesses. OSHA inspectors found that the death of a Tonawanda Coke Corp. employee who was pulled into the rotating shaft of a coal elevator could have been prevented if the company had followed proper safety procedures. OSHA determined that as the worker prepared to lubricate the elevator at the company's River Road plant, the employer neither shut down the elevator nor locked out its power source, as required by OSHA's hazardous energy-control, or lockout/tagout, standard. Inspectors also found the company failed to train employees on how to use energy-control procedures. "Compounding this tragedy is the disturbing fact that OSHA cited Tonawanda Coke in the past for not following the requirements of the lockout standard," said Michael Scime, OSHA's area director in Buffalo. As a result of these conditions, OSHA has cited Tonawanda Coke for two repeated and six serious violations of workplace safety standards and proposed a total of $175,200 in fines. For more information, see the news release. OSHA cited AndVenture Inc. for one willful violation after the company failed to protect its employees from the dangers of workplace violence. The Pennsylvania-based company, which does business as Epic Health, is one of the nation's leading providers of home health and therapy services for chronically ill children. OSHA opened an investigation into the company following a complaint from a worker who was sexually assaulted by a home care client after the company had been warned by another employee of sexual assaults. OSHA inspectors found Epic Health exposed employees to the risks of physical assaults as they provided nursing care services to both clients and family members and had no system for reporting threats or incidents of violence. Total proposed penalties are $98,000. For more information, see the news release. In September 2013, OSHA cited Flintlock Construction Services LLC of Mamaroneck, N.Y., for willful and serious violations and proposed $249,920 in penalties for failure to protect employees working on scaffolds from potentially fatal falls. Flintlock contested its citations and penalties and alleged that some violations were not willful because its corporate principals did not have knowledge of the hazards and Flintlock made at least a minimal attempt at compliance. After review, Chief Administrative Law Judge Covette Rooney upheld all the citations and penalties and found Flintlock had knowledge of the hazards and the authority to have its subcontractors correct safety hazards. For more information, see the news release. A safety and health complaint filed against emergency medical service provider Altamont Ambulance Service Inc. resulted in an OSHA inspection of the company's Altamont, Ill., facility. Inspectors found workers were exposed to bloodborne pathogens and other hazards. Other violations included failing to: establish an exposure control plan for bloodborne pathogens and other infectious material; offer hepatitis B vaccination to workers; and train workers about chemical and bloodborne pathogen hazards and precautions. The company was cited with five willful, 16 serious and three other-than-serious violations and proposed $290,100 in penalties. For more information, read the news release. OSHA has fined Wei-Chuan USA Inc. $107,000 after a worker fell 24 feet to his death at the company's Jersey City warehouse. OSHA cited the frozen food manufacturing and distribution company based in Bell Gardens, Calif., for one willful, one repeated and six serious violations. OSHA investigated after police notified the agency about the 60-year-old warehouse supervisor’s fatal fall from a top-tier warehouse rack. OSHA cited the company for exposing workers to electrical hazards and hazardous materials, not providing safety training, and knowingly allowing forklifts to hoist employees on pallets to conduct inventory. For details, see the news release. The Washington Department of Labor & Industries and the King County Prosecutor's Office have charged Pacific Topsoils of Everett with one count of violating a labor safety regulation resulting in death. The offense is punishable by a fine of up to $100,000 and six months in prison. A young worker, on his second day on the job, and attempting to clear a jam, was pulled into rotating augers and died at the scene. Inspectors determined that workers were regularly assigned to clear jams in bark-blower truck hoppers while the machines were operating, exposing them to hazards that could result in entanglement, severe crushing injuries or death. "The loss of this young man’s life is a tragedy that could have been prevented if the employer had followed basic safety and health rules that protect workers from moving machinery," said L&I Assistant Director Anne Soiza. For more information, see the news release. Minnesota OSHA has issued $175,200 in penalties to Syring Trucking Inc. of Hazel Run for workplace safety and health violations. MNOSHA inspectors concluded that the company had failed to properly evaluate a workplace to determine if the site required a confined space permit, did not evaluate a rescue teams' competency, failed to establish a written confined space safety program and failed to adequately train workers on safety procedures for confined spaces. OSHA has found that the Dearborn Heights School District of Michigan violated the whistleblower provisions of the Clean Air Act, and has ordered the district to pay a janitor $193,139 in back wages, damages and other compensation. In June 2012, the janitor objected when the director of operations and construction management told her to sand floor tiles that contained asbestos at Annapolis High School. This resulted in a three-and-half-year period during which the janitor suffered various adverse personnel actions as she continued to raise concerns about asbestos exposure in the schools. OSHA has ordered the school district to pay the janitor $8,139 in lost wages, minus applicable employment taxes, $45,000 toward current and future medical bills, and $140,000 in compensatory damages for loss of reputation and distress, as well as reasonable attorney's fees. For more information, see the news release. OSHA Compliance Safety and Health Officer Dan Hughes (second from left) speaking with workers in the process of rerouting a water line near Clendenin, W.V. 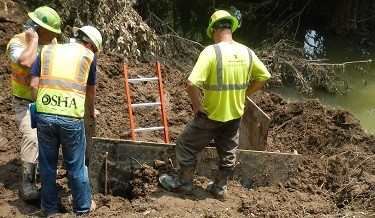 OSHA has deployed staff to flood-impacted West Virginia counties to ensure that employers, workers and others engaged in cleanup efforts avoid potential hazards and take steps to protect themselves. OSHA compliance assistance officers initially focused their efforts in the three hardest hit counties of Kanawha, Greenbrier and Nicholas, which President Obama declared federal disaster areas. OSHA staff have performed more than 45 interventions in hazardous situations, affecting nearly 1,000 workers. OSHA has also provided more than 500 workers with information and educational materials on topics such as heat stress, mold, personal protective equipment, fall hazards and powered industrial truck operations. Whether cleanup operations are being performed at a residential home or a business, homeowners and employers should request the assistance of a safety and health professional. For more information, see the news release. Zero Mountain Inc., an Arkansas-based company that provides frozen food storage and shipping, contacted OSHA's free and confidential On-site Consultation Program to improve its workplace safety and health practices. The company corrected hazards that were identified by the consultant, including missing machine guarding and inaccurately labeled chemicals, and also implemented a comprehensive safety and health management system. Its commitment to worker safety and health resulted in lower injury and illness rates, and it was accepted into OSHA's Safety and Health Achievement Recognition Program. An additional benefit: Zero Mountain’s annual workers compensation costs were cut by about $175,000, to just under $100,000 a year. For more information, see the online success story. OSHA has renewed an alliance with Chippewa Valley Technical College to provide information and training resources to help protect the safety and health of workers in general industry, construction and agriculture. During the five-year agreement, the organizations will work cooperatively to prevent workers' exposure to struck-by, caught-between, fall and electrical hazards, and to encourage a better understanding of workers' rights and employer responsibilities. Read the news release for more information. OSHA's Oklahoma Area Office and Flintco LLC aim to ensure that the University of Oklahoma Stadium Expansion Project in Norman will be a safe and healthful environment for all workers, staff, university employees and visitors. The partnership seeks to promote effective safety management systems and provide training on hazard recognition and controls to create a safety culture that will ensure workers on the project remain injury- and illness-free. 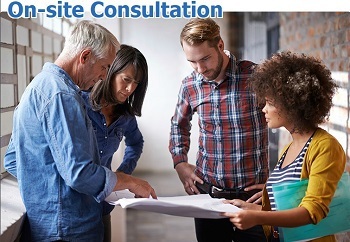 Through its Strategic Partnership Program, OSHA works with employers, employees, professional and trade associations, labor organizations and other interested stakeholders to establish specific goals, strategies and performance measures to improve worker safety and health. 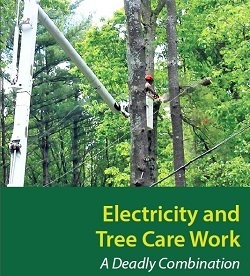 Contact with electricity is one of the leading causes of death for tree care workers. 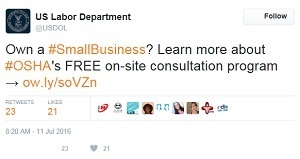 A new OSHA pamphlet intended for small business owners and front-line supervisors offers measures to ensure that workers know and are prepared for the risks of tree-trimming operations near sources of electricity. These include training workers about potential hazards, making sure workers maintain a distance of at least 10 feet from overhead power lines, and providing proper gloves and shoes for hazards present where tree work is being performed. The pamphlet is also available in Spanish. Outdoor workers may be at the greatest risk of exposure to Zika virus in areas where mosquitoes—the main route of transmission—are spreading the disease. OSHA's new QuickCards, available in English and Spanish, provide information for workers about how to protect themselves from mosquito bites when working outside. The QuickCards offer tips on wearing clothing to cover skin, and using insect repellent on exposed skin. 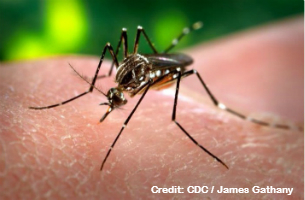 The new guidance also links to the most up-to-date information on Zika from the Centers for Disease Control and Prevention, such as potential health outcomes and reproductive effects.